My first dark room was in that late 1980s – early 1990s, and was done primarily to capture rock shows. 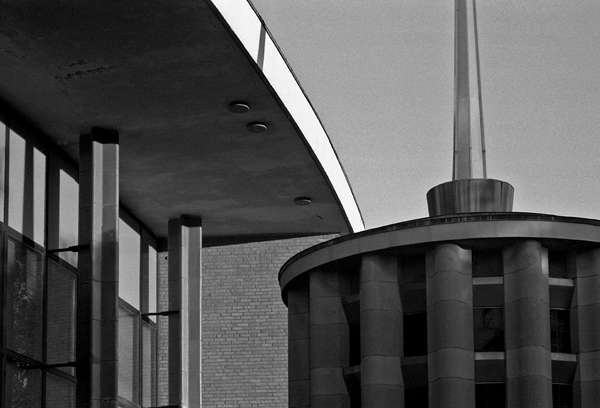 When I returned to black & white film in late 2000, buildings were the primary focus, and my eye gravitated toward the stock of mid-century modern architecture in St. Louis. This set of photos were shot, developed and printed from 2000 – 2003. Click any photo to enlarge. 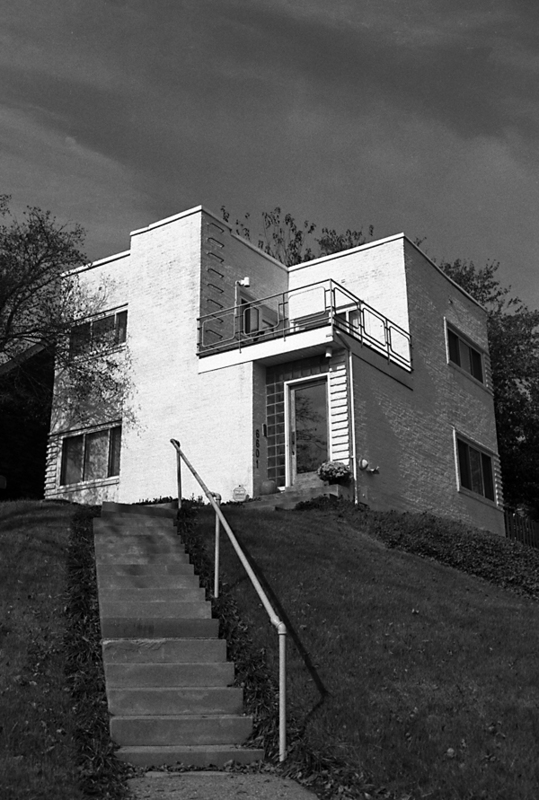 Armstrong Tour this Harris Armstrong-designed home in South St. Louis City. 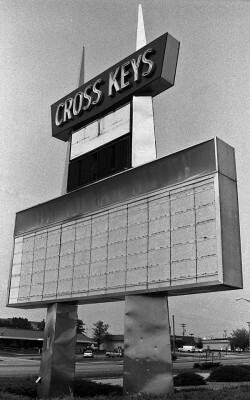 Cross Keys Built in 1969 in Florissant, MO. Demolished Spring 2003. 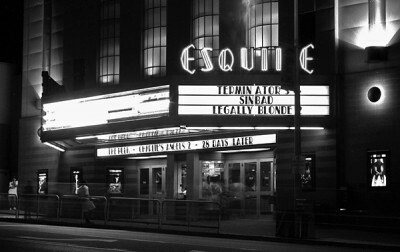 Esquire This cinema in Clayton, MO is an early 1990s remodel and expansion of the original theater on this spot. Only at night does it recall its original splendor. 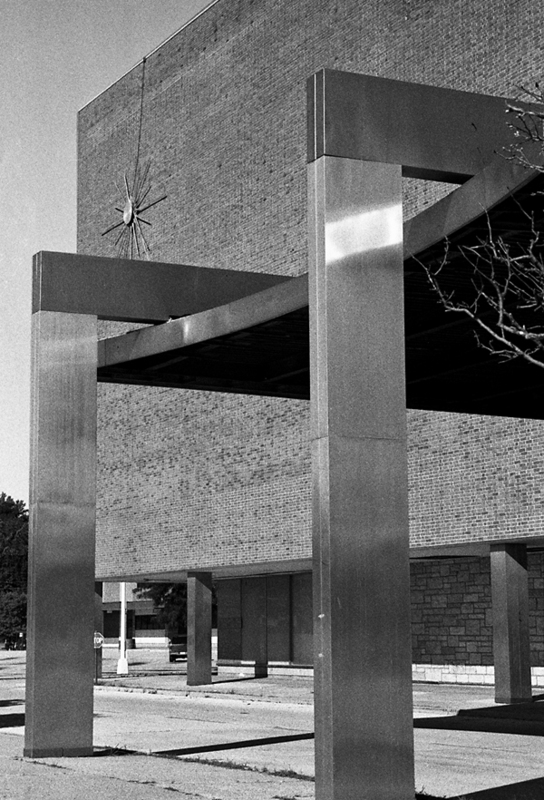 Former Buder Originally the Buder Branch of the St. Louis City Library system, built 1961, in South St. Louis City. It is now The Record Exchange, and one of the few modern buildings that people who don’t normally like Modern genuinely like. J.C. Penney Built in 1931 in Wellston, MO, the department store moved out in 1976. Learn more about this building and its threatened state. Northland Built in 1955 in Jennings, MO. 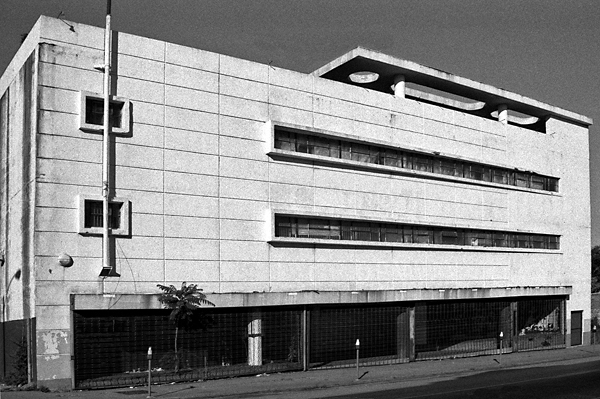 Demolished in 2005. 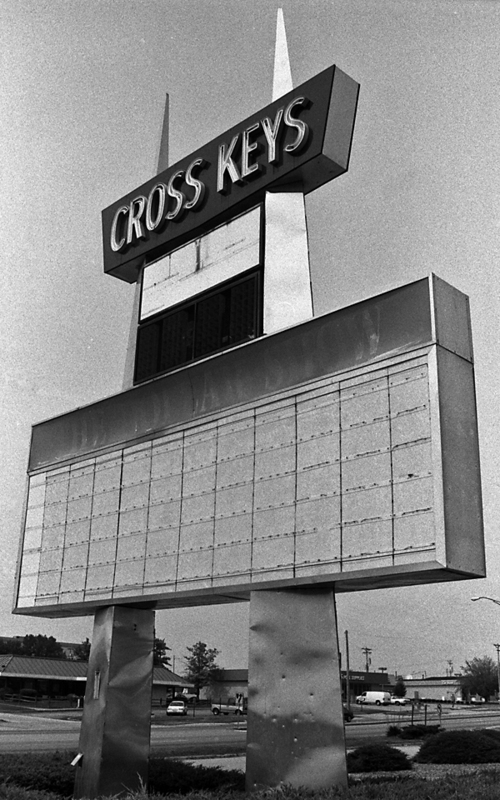 Learn more about the history of Northland Shopping Center. 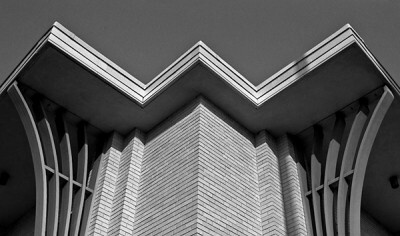 Resurrection A former Catholic church, built 1959, that stands in sleek contrast to the pre-WW2 brick bungalows and flats that surround it in South St. Louis City. Twain Originally opened as the Mark Twain Cinema in South St. Louis County, 1967. 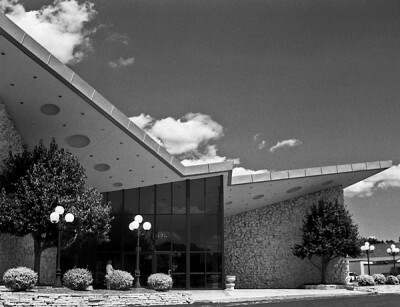 It is now the Two Hearts Banquet Center, and in excellent condition. 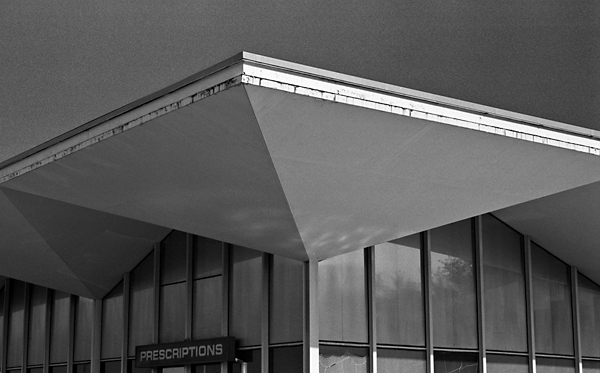 Watson Walgreens Built mid-1950s as a Katz Drugstore in Webster Groves, MO. 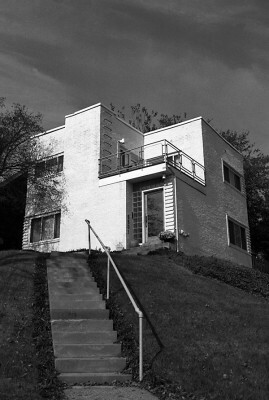 Demolished in 2003. 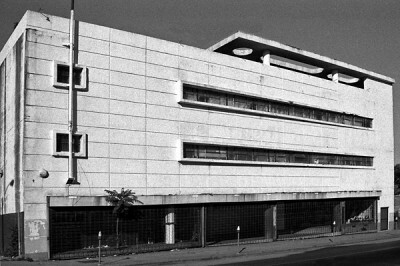 More about this building here. Naugles Originally opened as a Naugles, a Mexican fast food chain, circa late 1960s, in Mid Town St. Louis City. 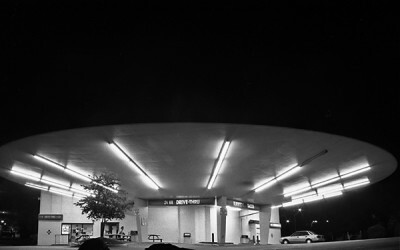 It is now a Del Taco in so-so shape, best seen at night.